Disclosure: I received free products to facilitate this review and giveaway. The opinions expressed here are all my own. This post may also contain affiliate links. 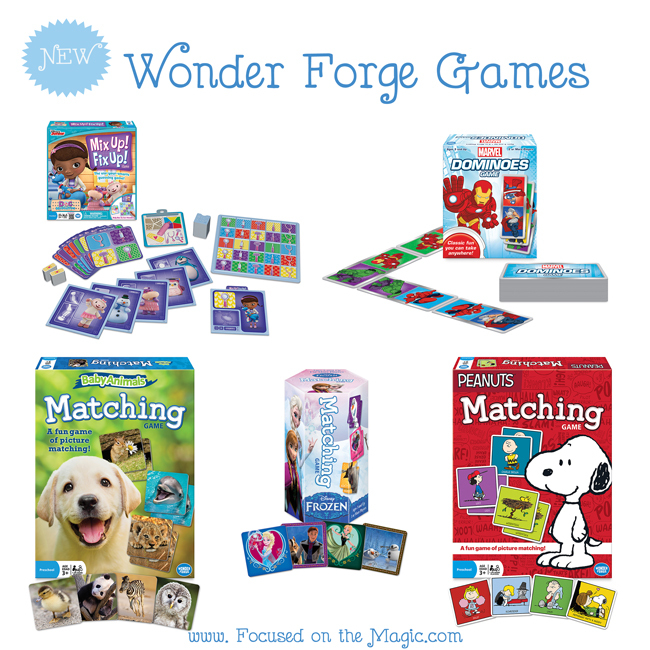 Wonder Forge offers quality, fun preschool and family board games. The games are small and easy to to take on the go. They encourage creativity and imaginative play while bridging the family generation gap to create wholesome family entertainment and make lasting memories. 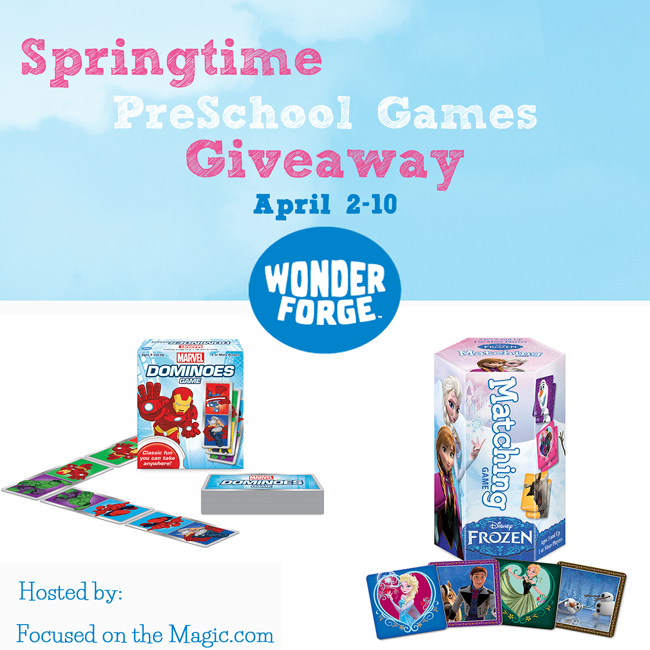 Wonder Forge has several wonderful NEW games launching in April that preschoolers are sure to enjoy. With games featuring beautiful artwork from Disney's Frozen, Doc McStuffins, Peanuts, and Marvel, there’s something for every preschooler on your list. These games are small, portable, and easy to play—promoting preschool matching, creativity, and imaginative play with your child’s favorite characters. And at just $14.99 or below per game, they’re a great value, offering hours of family fun.The Wonder Forge company has a long list of new Disney Games that are perfect gifts! 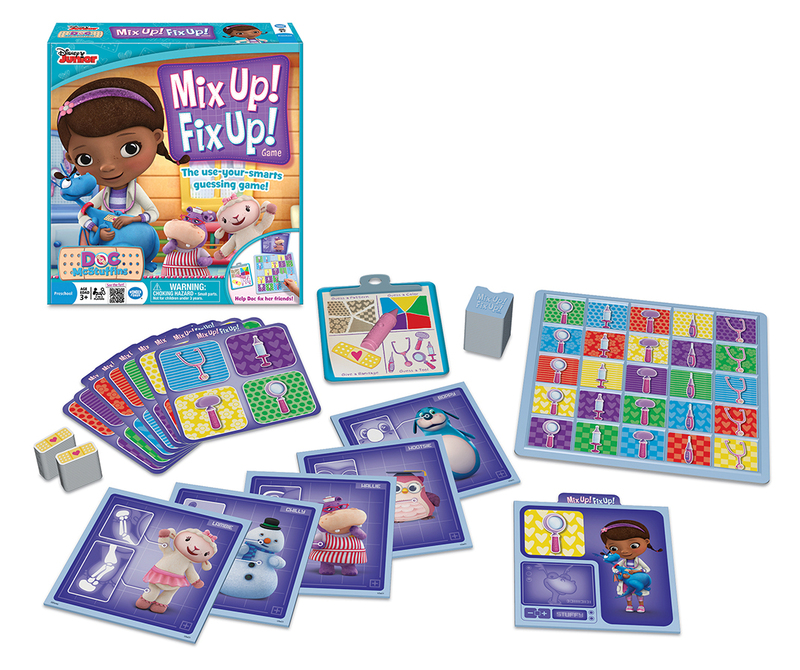 Doc McStuffins Mix Up Fix Up Game - The use-your-smarts guessing game! 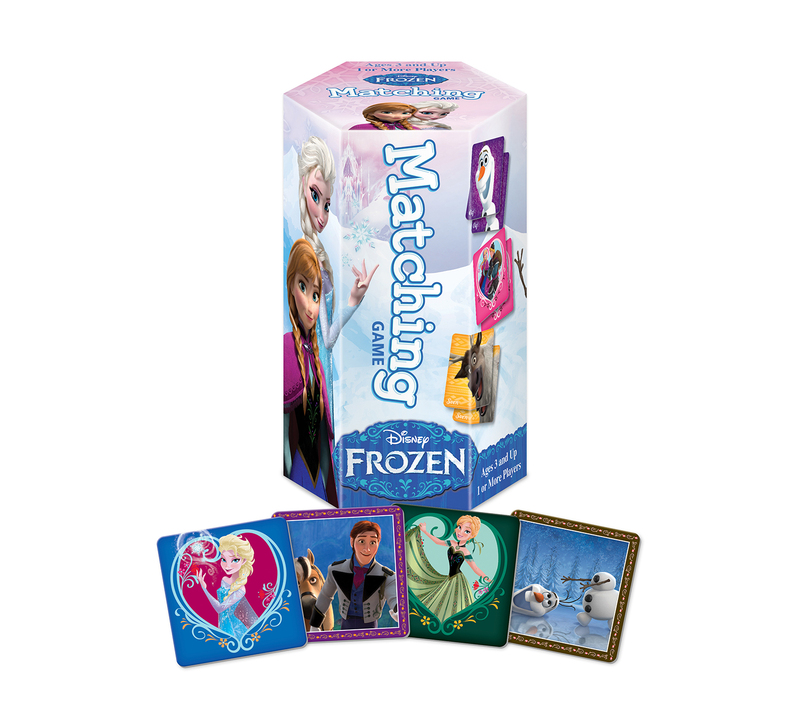 DISNEY FROZEN MATCHING GAME - Classic picture matching you can take anywhere. will you see? Pick up the most matching pairs to win! 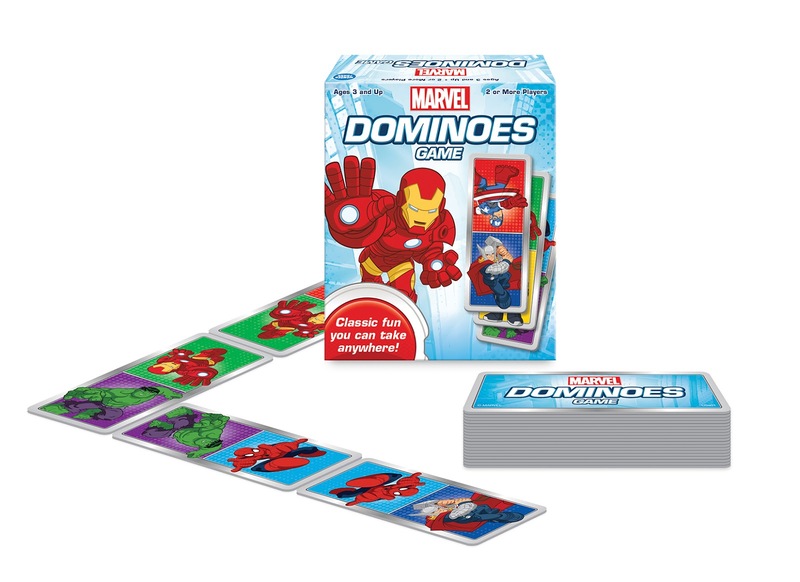 Marvel Dominoes Game - Classic fun you can take anywhere! 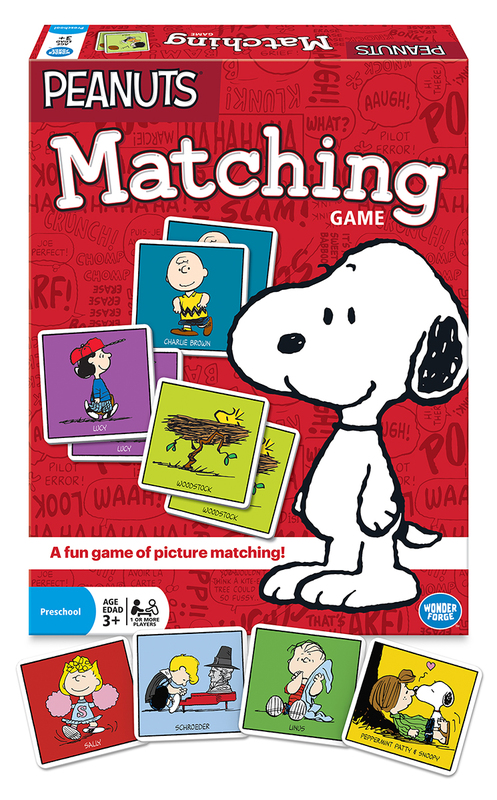 Peanuts Matching Game - A fun game of picture matching! more. Pick up the most matching pairs to win! 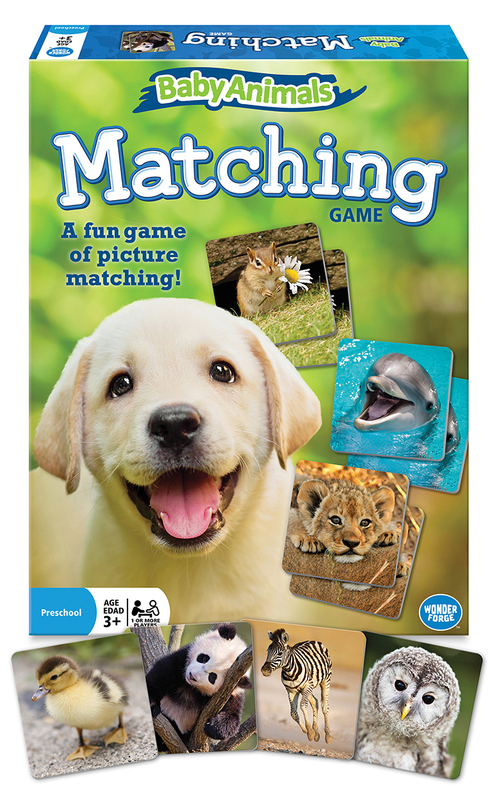 Baby Animals Matching Game - A fun game of picture matching! many more. Collect the most matching pairs to win! One (1) lucky Focused on the Magic readers will win two (2) Wonder Forge Games. To enter, just complete the entry form below. A winner will be chosen on April 10th. No purchase is necessary to enter. The winner will be chosen by random number generator via Rafflecopter after verification of entries and notified by email. The odds of winning are based on the number of entries received. To officially accept the prize the winner must reply by email within 24 hours. Any taxes or other charges that may be part of the prize are the winner’s sole responsibility. The giveaway is open to United States residents over 18 years of age and you guarantee that you are eligible by entering. We reserve the right to cancel any giveaway. All opinions are the author’s own. Your experience may be very different. Entrants must only enter with either one email address, IP address and/or Facebook account, anyone found violating these rules will be disqualified. This event is in no way administered, sponsored, or endorsed by, or associated with, Facebook, Twitter, Google and/or Pinterest. Focused on the Magic is not associated with the company mentioned above. Winner(s) will be announced on Focused on the Magic Giveaway page, after the winner has accepted their prize. Focused on the Magic is not responsible for the package once it leaves our hands. This disclosure is done in accordance with the Federal Trade Commission 10 CFR, Part 255 Guides Concerning the Use of Endorsements.